Of course the focus of The Special Event 2014 was really directed at event planners and industry professionals in their likeness. Our members, however, stole the spotlight at last week's trade show held at the Gaylord Opryland Resort & Convention Center. Magician Keith West had guests scrambling to figure out the mystery behind his tricks while Chuck Baril— or should we say Elvis— had them lining up for souvenir photos (on-site prints courtesy of Mike Gatty and the always-incredible staff at US Event Photos). Acclaimed Las Vegas juggler Michael Goudeau flew in for a live stage performance that included a feat that recently landed him in the Guinness Book of World Records (words can’t even describe this one!) 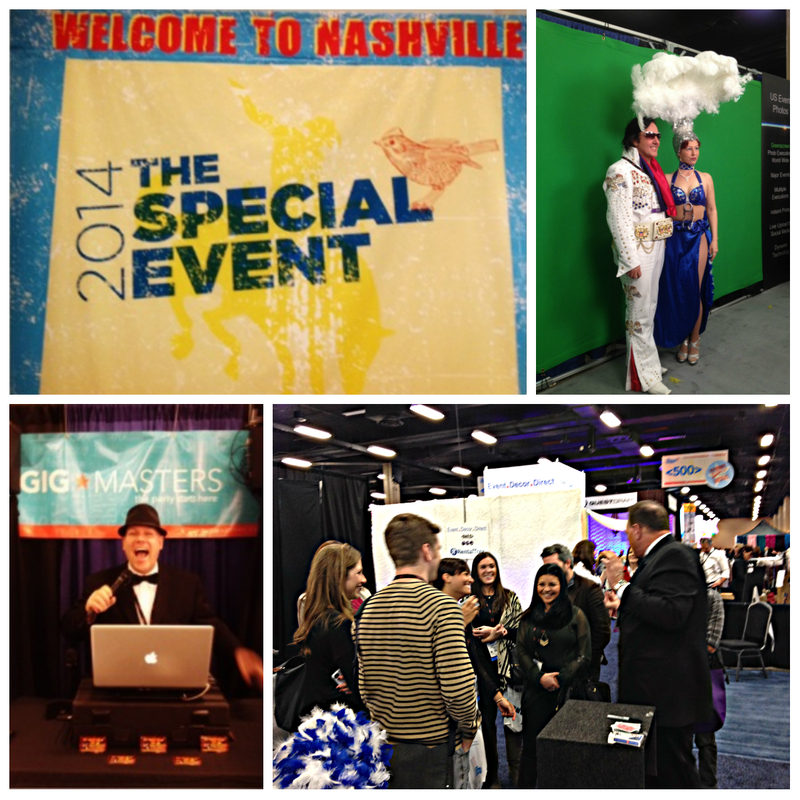 All the while, DANDY DJ had everyone at the GigMasters booth dancing it up with non-stop party playlists. And can you believe we almost didn’t even make it down there? Read on to find out more about our adventure getting to and exhibiting at The Special Event 2014!